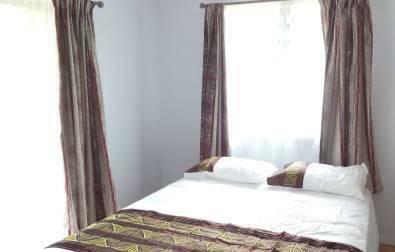 The room sleeps up to 2 adults, insect screened, sliding door opens up to a private deck, looking out to the front lawn and main road, 1 dresser with drawers, cupboard with hangers. 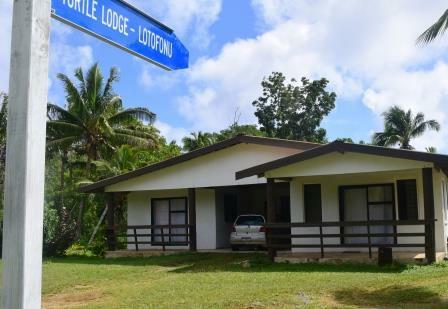 Turtle Lodge is a self-contained, fully furnished 4 bedroom home, recently converted into a guest house with everything to make your stay in Niue comfortable and pleasant. The rooms sleeps up to 2 people. The house is fully furnished - kitchen, dining and lounge. Also with laundry facilities. A spacious house suitable for large groups or families. 5 minute drive to Alofi town, very close to the many swimming on the island. Credit card required for payment guarantee only. Your card will not be charged prior to arrival. Surcharge 6% fee added to Visa payments. Payment to a New Zealand account available.